The list of submitted bios for confirmed speakers in alphabetic order. He co-founded Telio Holding ASA (formerly Telio Telecom AS, Oslo stock Exchange: TELIO) in 2004 and served as its Chief Technology Officer. 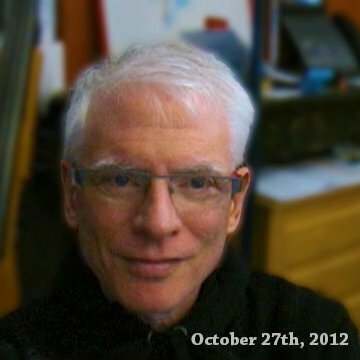 Alan is an early pioneer of VoIP with over a 12 years of active contribution in multi modal communications, through his software development and standardization work (as a co-author and/or contributor to number of IETF, ETSI and ITU standards). As a developer and senior systems architect at Ericsson, he took part in the early deployment and development of the world’s largest VoIP networks such as deltathree. At Global IP Sound (creators of Skype´s audio), Alan was Senior Systems Architect, where he steered standardization efforts and was responsible for iLBC (internet Low Bitrate Codec), an IETF and CableLabs standard codec for VoIP. Alan is also Co-founder of Sonorit/Camino networks and was Director of its Board of Directors from its inception until it was acquired by eBay/Skype. Currently serves as Director of Sipfoundry.org BoD and is an advisor to a number of industry companies and financial institutions in M&A processes. 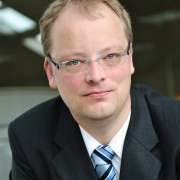 He is employed as Senior Voice Engineer for QSC AG, one of the major German voice and data providers. Alexandr holds a diploma in physics of Odessa State University. 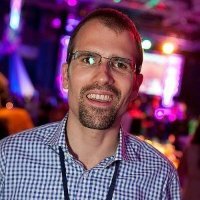 He has 20 years of experience in telecommunication techniques and has contributed to many OpenSource projects like FeeeSwitch, SER, Kamailio, SEMS, Asterisk, SIPP, Wireshark. 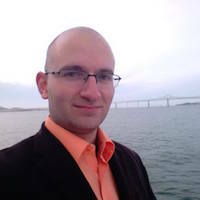 Alexandr is the main developer of Homer SIP Capture project. He is also founder of IRC RusNet Network, one of the biggest national IRC networks in the world. He is principal of Evariste Systems, an Atlanta-based consultancy specializing in open-source focused SIP service delivery solutions for wholesale and retail ITSPs and competitive carriers (CLECs). Alex is a member of Kamailio project management board, involved in application development and community engagement. He holds a degree in IT/IT-Marketing from University of Applied Sciences in Graz, Austria. He is involved in VoIP development since 2000 and later co-founded Sipwise, a company dedicated to provide highly available and scalable SIP soft-switch appliances based on open-source building blocks like Kamailio and SEMS for medium to large-size ISPs/ITSPs. A well know product released by Sipwise is the SIP:Provider IP telephony platform. Andreas is member of management board of Kamailio project. He holds a degree in Telecommunication Engineering (University of Vigo) and finished the pre-PhD program in Telematics Engineering (University of Vigo). He started in VoIP In 2006 as developer for the Motorola IMS development group in Madrid. In 2008 joined Quobis as VoIP engineer. Quobis is a privately-held Spanish company founded in 2006 dedicated to developing products and consulting services, based on open standards, in emerging unified communication technologies. Since 2011 he is the CTO of the company and actively participating in the expansion strategy to introduce Quobis products and servicies in emerging markets. From 1998-2001 he was working as venture manager at Lucent Technologies Bell-Labratories identifying value from new technologies. In 2002 he founded his own venture ADDIX Internet Services in the telecommunications industry, developing an Asterisk based PBX in 2005. Since 2012 he has been developing different business opportunities with WebRTC. Today he acts as CEO of Junghanns Communications and is Vice President of Schleswig-Holsteins IT Cluster Digitale Wirtschaft. He is a member of the development and management teams of Kamailio project and founder of “ng-voice GmbH“, a company with focus on providing consulting services about Voice, IMS and Open-Source. Previously, he was working for Telefonica Germany in Verl & Hamburg on the deployment and operation of the new IMS-platform at Telefonica. He was among the leading technologists to develop and provide the first IP telephony solution as a real analog line replacement for Telefonica/O2 in Germany. Carsten has a Bachelor’s Degree in Computer Science from the University of Applied Sciences of Hamburg, Germany. He is the founder of ITsysCOM, experienced communications architect and VoIP specialist. Dan is a double graduate of Politechnica University, Timisoara, with post-graduate specialization in Communication Protocols and Software Development. For the past couple of years, he has focused mainly on Cloud Computing Technologies interoperability, subject of his PhD thesis research. A frequent and well-known contributor to the Open Source community, most noticeably being the co-founder of CGRateS Project, Dan is a firm believer in merging the very best production-ready software to create high-quality, scalable and cost-effective communications solutions. He co-founded Kamailio in June 2005, aiming to build a solid SIP server project where openness to community and contributions has an important role, previously being core developer of SIP Express Router (SER) from its early beginning in 2002. 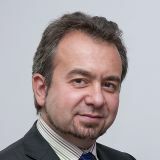 He has a Master degree in Computer Science and Engineering from the Polytechnics University of Bucharest. His experience was accumulated working as consultant for Orange Romania, branch of French Orange mobile operator, and researcher in network communications at Fraunhofer Fokus Institute, Berlin, Germany. His activity is done at Asipto, a company targeting to offer and build reliable services and solutions that benefit at maximum from Kamailio’s flexibility and features, sharing knowledge and expertise via professional trainings and consultancy. Daniel is leading the development of the Kamailio project and he is member of its management board. He is Director, Worldwide Asterisk Community at Digium. David has been in telecoms for longer than he likes to remember, with positions in the Civil Aviation Authority (air-ground comms), a telco, a mobile provider and a computer telephony card manufacturer prior to getting in VoIP in general, and Asterisk in particular. Having spent several years working in and around the Asterisk Community, David was delighted to be appointed as the Community Director in 2012. This involves upholding the interests of community members aswell as growing and enhancing the adoption of open source Asterisk. David’s favourite thing about Asterisk is that it can handle all sorts of technology (including WebRTC), without being contstrained to any one of them. He is the Founder of Disruptive Analysis, an independent technology industry analyst and consulting firm. An analyst with over 20 years’ experience, he specializes in wireless, mobile, and telecoms fields, with further expertise across the broader technology industry. His present focus is on wireless technology, especially the evolution of mobile broadband, service provider business models, next-generation voice & messaging services, mobile device architecture & software, applications ecosystems and enterprise mobility. Dean provides clients with advice and analytical opinion on topics such as business models validation, technology innovation and go-to-market strategies, “addressable market sizing”, planning and due diligence. 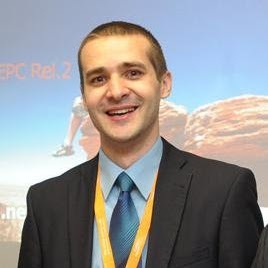 He graduated at the “Politehnica” University of Bucharest in February 2005 with a Diploma Thesis on the subject of service triggering in IMS, with a practical prototype implementation. During the 5-year study at the Faculty of Automatic Control and Computers he followed the Computer Engineering program on base software, compilers and computer networks. Between 1999 and 2004, he gained valuable hands-on experience as a full-time employee at various national ISP and Telecom Operators. During this period he acted as software analyst/developer as well as project development leader in various projects for network monitoring, provisioning, management, billing and VoIP deployments. During 2004 he worked on his Diploma Thesis at Fraunhofer FOKUS, which represented the first milestone of the Open IMS Playground. Since 2005 he is employed as a Scientific Researcher as the same institute, where he continued his work into the Open Source IMS Project, as well into feasibility and performance studies on NGN architectures. 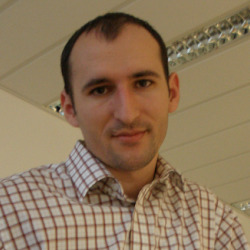 He is an active member of various IMS working groups and leader of OpenEPC project. She is a co-founder of Kamailio project, being also member of its management board. Her involvement in VoIP started by joining SER (SIP Express Router) in the spring of 2003, just after several months since the project was publicly released. She became one of the most active contributors, with key modules like avpops, diameter support, pdt, speeddial, uac, xlog. Elana-Ramona has a Master degree in Computer Science and Engineering from the Polytechnics University of Bucharest, Romania, completing the studies at Politechnics University of Valencia, Spain, and Fraunhofer Fokus Institute, Berlin, Germany. Nowadays she works as VoIP and Kamailio consultant at ASIPTO, focusing on innovative solutions and integration of SIP and VoIP with web2.0. She manages Siremis Project – an open source web admin application for Kamailio – and has authored many tutorials about the Kamailio project, including Devel Guide, Pseudo-Variables Cookbook or Radius Integration. He is the founder and current lead of the Jitsi project, a cross platform open source rich communication softphone (voice, video, instant messaging, presence, etc.). He is also involved with other initiatives like the icej4.org, libjitsi and JSIP projects, and contributes to IETF working groups like MMUSIC, AVTEXT and RTCWEB. Emil obtained his Ph.D. from the University of Strasbourg in early 2008, and has been focusing primarily on Jitsi activities ever since. He is one of the core developers of the Kamailio project and member of its management board. Henning is responsible at 1&1 Internet AG for the operation of their Voice over IP and DSL platform. This includes the maintenance and deploying of extensions of the Kamailio, Radius, ACS and order middleware systems of 1&1. He is in charge with one of the biggest VoIP deployments out there, using Kamailio (OpenSER) as core routing system: over 3 000 000 subscribers, over 7 000 000 phone numbers and more than 1 500 000 000 routed minutes per month. 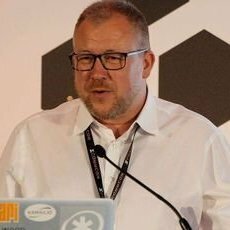 Henning is a long term Linux user and contributer to several Open Source projects, participating to world wide events, presenting about Kamailio and open source. He holds a master degree in applied computer science from the University of Siegen. He is the senior distributed systems engineer at 2600hz. What was a rather happenstance introduction to Erlang quickly developed into a huge passion that lasted for the past 5 years. Previously, he served as senior developer of insurance agency management software used by multiple independent insurance agents where he created a global address and social network service and an exemplary text-messaging service. James graduated from Principia College in 2004 with a degree in Computer Science and a minor in Mathematics. He is an avid country music fan. He is the Head of Research and Development at Truphone, being nominated in 2007 among the top 20 Influencers in VoIP by VoIP news. James is well known a source of new, disruptive and innovative thinking is the telecomms space. Luckily, he managed to put these and a number of other disruptive skills to good use as a Regular officer in the British Army. Following 20 years service in the British Army, where he graduated with degrees in Electronic Engineering and Design of Information Systems, he became involved in the pioneering of UK based VoIP, setting up SIPCall and Gossiptel, leading UK SIP<>PSTN services. A founding member of the UK Internet Telephony Providers Association, he has consistently been involved with getting things done at the cutting edge of the European VoIP community. As Research Director at Truphone, he is responsible for new and exciting technologies, ranging from the handset back into the PSTN. An enthusiastic supporter of Open Source software, he sponsors the development and rapid deployment of some of the leading telecommunications applications. 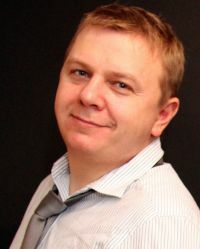 He is VoIP and network specialist at CESNET, lecturer and network administrator at Silesian University in Opava. In the past, Lukas was chef developer at Phonyx, a PBX system for ISPs based on Asterisk. Today, he is member of BESIP team which develops embedded SIP communication servers based on Kamailio, Asterisk and OpenWrt. He aims to be “open-source extremist”, the motto that guides his activity being “Nothing is impossible”. as a software developer and systems administrator. He is using Linux professionally since 1998 and has been an avid Open-Source supporter and Pytonista ever since. He is the Technical Director at Crocodile RCS. Peter graduated from The University of Edinburgh in 2000 with a BSc (Hons) in Computer Science. After graduation Peter worked on a PSTN switch developing signalling stacks for SS7, ISDN and similar protocols and creating advanced routing and service applications. Since 2005 he has worked mainly with SIP first leading a team developing a PSTN gateway and then managing the development of a SIP Application Server. 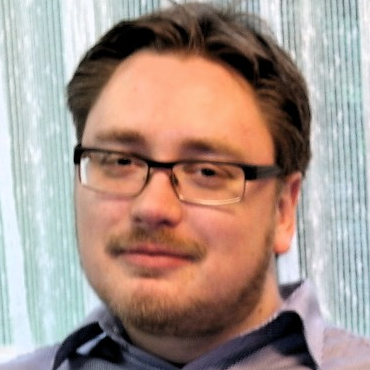 Peter joined Crocodile RCS in September 2010 and has made numerous contributions to the Kamailio project (particularly in the areas of presence, WebSocket, MSRP, and SIP Outbound) since then. Peter is one of the authors of the MSRP over WebSocket draft (draft-pd-dispatch-msrp-websocket). He is the producer of VoIP Users Conference (aka VUC). VUC is a weekly live discussion about VoIP, SIP and all kinds of telephony-related topics. The conference has been running for nearly six years, happening every Friday at 12:00 noon US Eastern Time. Many Kamailio developers are frequent participants at VUC, several of them were invited guests in the past, presenting the project and typical use cases. He is founder and Managing Director of Simwood eSMS Limited, a wholesale VoIP enabler. Simwood operates a national UK IP network, VoIP stack and SS7 interconnects, all of which can be leveraged by customers using its leading API. In 1996 Simwood developed ‘eSMS’, the world’s first global gateway between the Internet and Mobile phones, enabling cross-network SMS and SMS<>e-mail. Prior to that Simon worked in finance and was the youngest qualified member of the Securities Institute at the time and through subsequent start-ups was named Barclay’s Young Business Person of the Year. No longer young he combines commercial experience with deep technical knowledge and brings a unique perspective to today’s challenges. Outside of work he has been a Mountain Rescue Team member for over 10 years and played a part in hundreds of incidents, rounding his outlook on life and shaping his approach to leadership. He is CEO and founder of AMOOMA, author of an Asterisk book ( http://www.the-asterisk-book.com ) and the creator of Gemeinschaft PBX. Before working with VoIP solutions he was CEO at OTRS which does open-source trouble-ticket-systems. 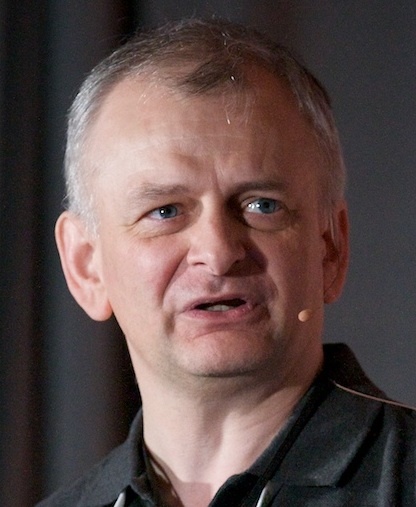 Stefan started his open-source career as a vice president for SuSE Linux in 1998. He is a very open-source minded guy who even published his book under the FDL. AMOOMA is a German company which offers mainly VoIP consulting in Europe. He is professor of the chair for Next Generation Networks (AV – Architektur der Vermittlungsknoten in German) in the electrical engineering and computer sciences faculty of the Technische Universität Berlin, Germany, where he is educating masters and PhD students in the fields of multimedia Service Delivery Platform technologies on top of converging fixed and mobile networks, Next Generation Networks, and the Future Internet. In addition, he leads the Next Generation Network Infrastructures (NGNI) Competence Center at Fraunhofer Institute FOKUS in Berlin, Germany, where he is responsible for the performance of major international R&D co-operations and related projects in the context of next generation telecommunications infrastructures. In this context he is a globally recognized pioneer of the development and delivery of advanced network and service technology testbeds and related software tools in the fields of Next Generation Networks and the emerging Future Internet for both academia and industry. Well known examples include the Open IMS Playground and the Open SOA Telco Playground. He is employed as senior architect for added value services at Bezeq, the largest Israeli telecom company. Uri holds a diploma in Electric Engineering, M.B.A and he has 10 years of experience in developing and deploying large scale added value systems based on open source and other vendors platforms. For the last year, he is responsible for the deployment and development of the largest IN system in Israel based on Kamailio applications. Uri is 38 years old, a father of two and addicted to kite surfing. He is a technology strategist, holding a Master’s Degree in Telecommunication Engineering. 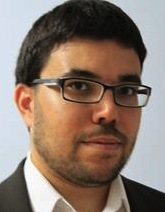 Victor is involved in standardization activities, mainly focusing on SIP, WebRTC, and Diameter, co-chairing the STRAW (Sip Traversal Required for Applications to Work) Working Group at the IETF, serving as Expert Reviewer for the European Commission and several technical or research conferences. He is Director of Engineering at Frafos. Vladimir holds a MSc. degree from CVUT, Prague. 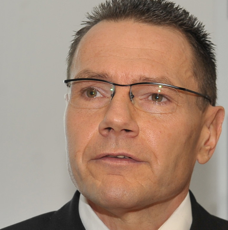 Before joining Frafos, he was responsible for engineering of SS7 and SIP products in Sitronics and Tekelec. Being one of the Frafos Day-1 employees, Vladimir is responsible for company’s ABC SBC product from inception to delivery.